We just took our “honeymoon stage” retirement trip this month – an 18 day African Safari in Kenya and Tanzania. As it coincided with our 25th wedding anniversary, I did call it our second honeymoon. It was a bucket list item for me, similar to our first honeymoon. That one was to visit castles in Germany and Austria with the highlight being Neuschwanstein. My homebody hubby truly loves me to take on this second big adventure with me. Most retirement books will highlight the first 6 months of retirement as the honeymoon where you are “supposed to take” that once-in-lifetime trip, complete your honey-do lists, and live a bit like everyday is a vacation day. Everything is wonderful because the reality of the day-to-day living hasn’t completely registered. Of course, I’ve been retired for 3 years, but I’ve always been a late bloomer. So I’m still doing many of the things most people do in year 1 retirement – downsizing & and taking that big trip. Some retirees take up travel as their primary retirement lifestyle. But we’re homebodies; I had to really acknowledge that fact because I admire the travelers. I admire the adventures they go on, the new sights and foods they experience. But I hate travel – so many aspects of it stress me out, and hubby even more so. So how did two homebodies manage on the Big Trip? My Africa Safari highlighted many of the new habits I am trying to instill for retirement. Learning is a life-long commitment – be curious, ask questions. In our group jeep, I became the un-official question-asker of our guide. And yes, the folks in the jeep were happy I did – we learned so much about animal behavior and the local culture. Our guide even complimented me on “being actively engaged” on the trip – he loved sharing his knowledge as much as we loved hearing it. I didn’t do much research prior to the trip, but am intrigued now to learn more about The Great Rift Valley, Oldupie and The Great Journey, and the Maasai culture. Slow down and breathe. The thing about animals in their natural habitats…they show up when they want to or not at all. Quite often hubby and I would say: “It is what it is… and it’s all good”. That said, we were also extremely fortunate in our sitings – we had wonderful guides who really understood animal behavior and put us in positions to maximize opportunities. Even then, many times it was a waiting game. I learned to trust our guide when he said we’d hang for a bit to see what might happen, or said he was going to move us and to “hold on”. And then, in some of those moments, I forgot to breathe. Stop inferiority comparisons. Every person’s safari experience will be different. It is completely about timing to catch a moment of animal nature. Yes, others from our group in other jeeps saw things we did not. I had to fight the “I missed it” feeling and focus on what I did see. And I did see some amazing things: the “Big Five” in both Kenya (White Rhino) and Tanzania (Black Rhino); lions hunting and chases (no kills); bull elephant fighting; cheetahs, hyenas, and leopards with their recent kills; 21 lions before 9 AM one morning (yes, I counted! ); and more zebras, wildebeest, cape buffalo, and antelopes than I could count. Have fun – enjoy the moments. Kenyan roads are an experience unlike any other. They use speed bumps to control traffic, and potholes are common. If you’re not bouncing up, you’re bouncing down. Unpaved roads, where we spent a lot of time, are even worse – rutted and rocky and dusty. I just “went with the flow” and viewed it as a very long amusement park ride. The washboard effect became an “African massage”. Windows were open to the breeze until “dust coming” was yelled out and then laughingly slammed shut. Don’t be afraid to fail. I tried on “spotter skills”. Yes, I spotted a number of ALT’s (that’s animal-like-things, a true term on safari that refers to rocks, bushes, and tree limbs that look like animals), but I also got thrilling high-fives from our guide for a leopard spotting and a rare, daytime Verrauex owl spotting. A night sky full of stars when there is no ambient light. At one tent-camp, we looked through a telescope at Jupiter’s moons and Saturn’s rings. The scent of dry grass in the morning dew or the fresh smell of the hot trees on the breeze coming in the open safari jeep windows mid afternoon (our guide did not believe in using the AC). Seeing a mirage on the endless plains of the Serengeti; something I had only read about before. Celebrations by the Kenyan and Tanzanian people. They bring such infectious joy to their singing and dancing. Our travel agent knew it was an anniversary trip and passed on the word. During the trip we were celebrated 4 times at various camps. On other nights, there was a birthday and a “repeat visitor”. Each time the celebration was joyous – I think they were looking for a reason to sing and dance! Sleeping in a mosquito-netted four-poster bed, in a tent in the middle of the Serengeti, guarded from the animals by Maasai warriors. It doesn’t get much wilder for this girl from Ohio. Yes, I am happy to be home. And yes, I am even happier we did it! What wild adventure will you be taking, either in your honeymoon stage or later? ‹ PreviousGuilty about Time Wasters? Hi Pat! What a great experience. I, too, tend to be a homebody who admirers travelers. I love being on a vacation trip, but not so much the “going” on a vacation trip. I have always wanted to go to New England, which I hope to be able to do in the next year or two. I think you actually just traded one “job” for another. One was compensated; one is not. Your role of caretaker is a full-time job. And knowing you, from your own blog posts, you won’t give even yourself a vacation from it… but I also know it’s probably the most important job you’ve ever had. My situation is different; we just finished being full-time caretakers of my SIL. So I am feeling a sense of freedom and could take this once-in-a-lifetime trip. Nice to meet you, Pat! Read your guest post on Donna’s blog. 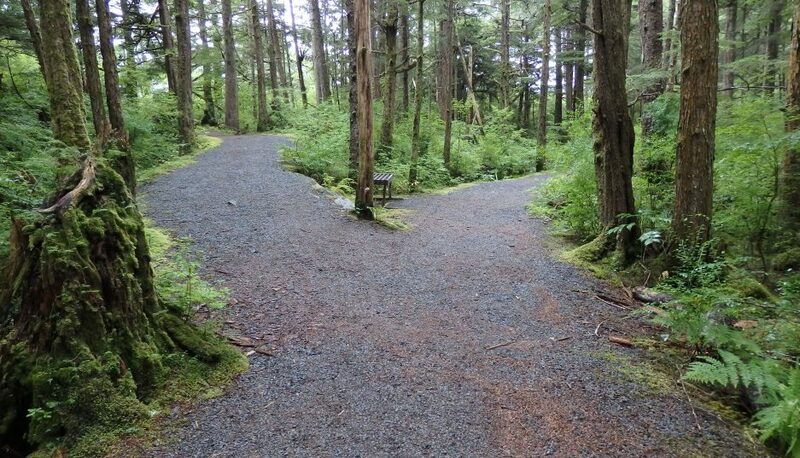 We walk a similar path–I retired at age 55 in Dec 2014 after 32 years with a public rec and park department. Hubby still works…and now I teach 12 units a year at a university. You embody the newly retired…trip of a lifetime, some fun things in the pipeline, but what to do every day? Sounds like you have got it all figured out! Blogging really does help with that. Terri – oh dear…some days I do not feel like I’ve got it all figured out! But agree, blogging does help. My goal is one a week – how you manage 2 and working part time… oh my!! I like the term “newly retired”; I’ve referred to it also as the 21st Century Retirement. Thanks for stopping by my blog. Reading this summary of your trip brought back wonderful memories of our own safari 8 years ago. I could relate to every point you made – including the singing at a celebration. In our case, it was my birthday and the singing was beautiful. My regret is that we didn’t think to record it. Yes, there were numerous new things … in my travel journal I easily listed 10, not counting the numerous animals we saw. It was a wonderful trip and I’m glad it brought back good memories for you. Hi, Pat – Happy anniversary and congratulations on such an amazing trip. It offered such incredible life lessons. And thank you so much for Guest Hosting on my site this week. You have been very popular! Hi Donna, the guest post was fun. You get different readers than me… so it was fun chatting with them. And I got a couple of new followers! Hoping things are going well on the Camino. Thanks Kathy. It was really amazing – truly a once-in-a-lifetime experience and we are both glad we did it. I think the experience will encourage us to do some more travels – not quite as exotic and long, not too often, but it was such a great trip, even with some stressful moments. What an adventure! Your descriptions make me want to book a trip NOW! I know what you mean about the ups and downs of travel. My husband and I like to travel (we are out and about at the moment), but it sure is nice to return home. I’m glad that you asked a lot of questions. For some reason, people often don’t speak up when they are in a group. I’m usually the one who does the asking… and I’m always happy that I did. That’s how you learn!! I had to laugh at your pictures comment. When I was posting, in the midst of jet lag, my brain just could not figure out how to post pictures within the post, like you do. I’m sure its simple, but I’ve never done it. And yes we have thousands (literally) of pictures. I’ve pulled a bunch of favorites which will be my “header pics” for a few months – that I know how to do, although it looks like I failed to do it here – jet lag brain! !